• >1,000 self-organized coaching circles. What explains the growth in group size from 50 to 50,000? It's moving my class at MIT Sloan to the edX platform, making it a MOOC (Massive Open Online Course). Designed to blend open access with deep learning, the u.lab was first launched in early 2015 with 26,000 registered participants. When we offered it for a second time, in September, we had 50,000 registered participants. According to the exit survey, 93% found their experience "inspiring" (60%) or "life changing" (33%); and 62% of those who came into the u.lab without any contemplative practice have one now. One-third of the participants had "life changing" experiences? How is that possible in a mere seven-week online course? The answer is: it's not. The u.lab isn't just an online course. It's an o2o (online-to-offline) blended learning environment that provides participants with quality spaces for reflection, dialogue, and collaborative action. •	self-transformation: opening up the deeper sources of human intelligence by activating the open mind, open heart, and open will. Figure 1 traces the current revolution in learning and leadership along five core dimensions. Essentially, that revolution is about two types of shifts. The first shift moves the outer place of learning from the classroom to the real world. 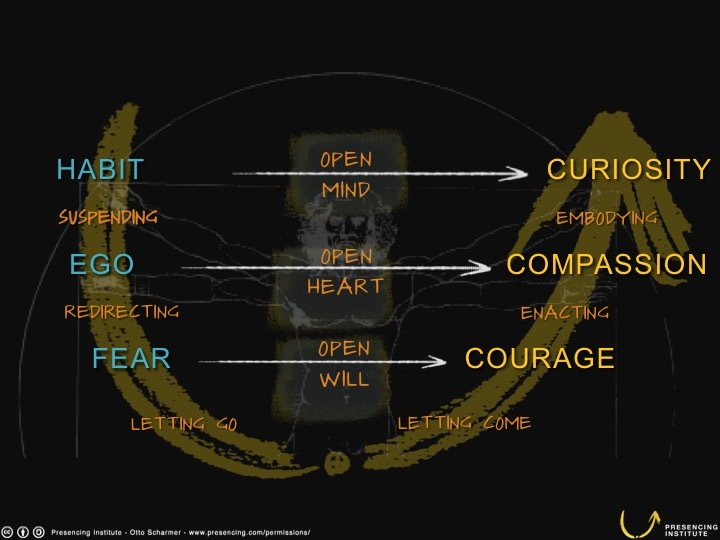 The second shift moves the inner place of learning from the head to the heart, and from the heart to the hand. One of the most interesting insights from our u.lab experience is that you can operate transformative learning environments at marginal cost of close to zero (MOOCs tend to have marginal costs of zero), which makes their potential future impact and scale almost unlimited. The key to making it work requires, however, a complete inversion of the enabling learning infrastructure, as outlined in more detail below. Distributed Organizing: From "one-to-many" to "many-to-one"
MOOC 3.0 - Many-to-Many: Massive decentralized peer-to-peer learning. MOOC 4.0 - Many-to-One: Seeing your future potential through the eyes of others--and seeing your self in the mirror of the whole. 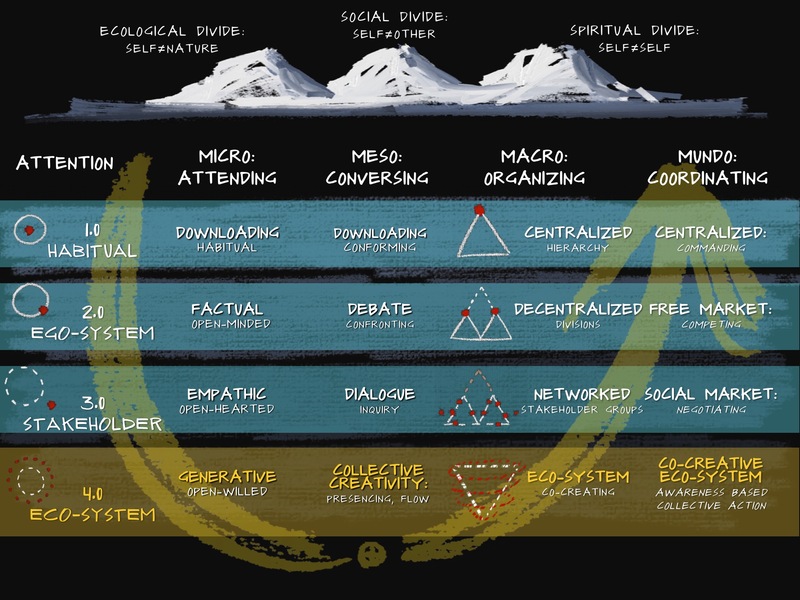 The journey from MOOC 1.0 to 4.0 is a journey of radical decentralization (moving the classroom into the real-world context of learners) as well as a journey of deepening the learning cycle (head-heart-hand). The following observations from some of the participants highlight both of these aspects. The first quote concerns the role of hubs. Hubs are self-organized places where lab participants gather to jointly engage with the weekly practices of the course. Our u.lab 2.0 hub was actually an idea [developed in] one of the coaching circle exercises from u.lab 1.0. 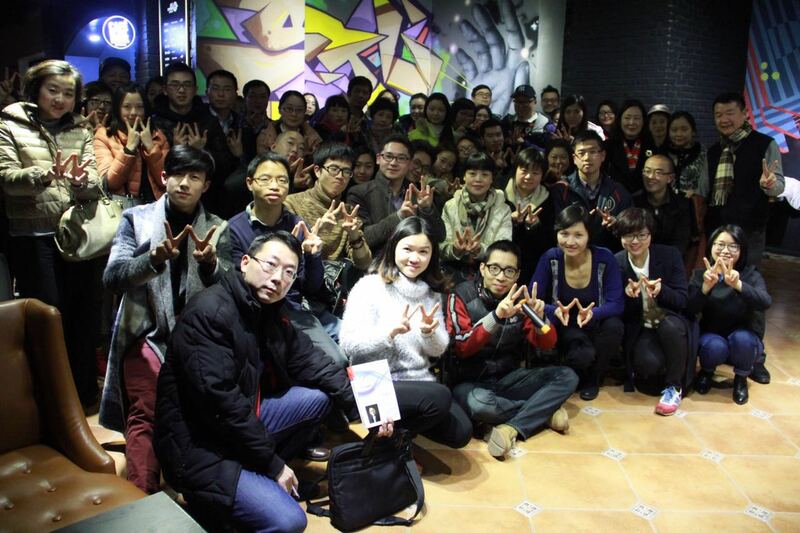 We had eight people then in Xi'an in January and February. Then a couple of us got together and started a book club, reading several key books. It started to grow, and by u.lab 2.0, more people joined us for the offline exercises and connection. We grew to 300+. 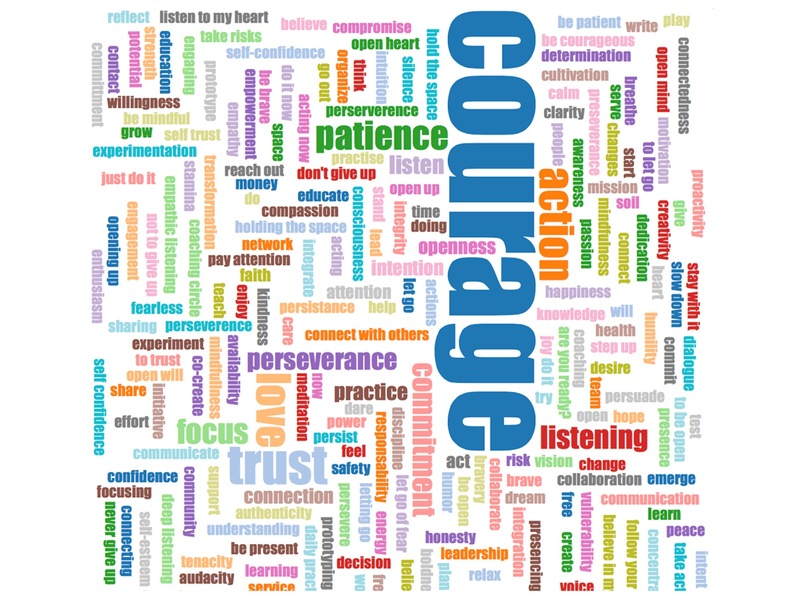 I saw myself in the whole process--my emotional ups and downs dealing with uncertainties; my fear of making decisions and courage to break through. It's been a great experience of self-transformation. In other places, like Scotland, we had 80 local hubs that kept connected via various national gatherings, with the Deputy First Minister of Scotland attending the final session. The second aspect of inversion concerns the opening of conversations from teacher centric downloading to learner centric dialogue. Case clinic circles are a wonderful tool for that. Using a structured seven-step, 70-minute process, case clinics result almost always in a profound shift of conversation and awareness. We were a very diverse group (age, race, ethnicity, interests, economics, professions), and yet none of that entered into the equation, or got in the way, of practicing the actual clinic. It was amazing how quickly, within a minute, each participant was able to delve into their respective case-giver role without hesitation, fear, holding back. People were very honest, very early on, and the "holding space" created was both sacred and palpable. The third aspect concerns collective governance. One of the "magical" aspects of u.lab happens in live sessions. Usually MOOCs are not synchronized. Anyone can access the content at any time. While we also found that useful, we nevertheless learned that if you want a global community to inspire itself, you've got to create a vehicle that allows the global system to sense and see itself. Four times we bring the entire global community together for a 75-minute live session: during the kick-off, in the middle, at the end of the seven-week MOOC, and then again seven weeks after the MOOC ended, in order to share what resulted from the prototype work. Most meaningful for me has been the contact with people who care about the planet and want to collectively work towards positive change. Since I am an international global citizen living in a remote area, the MOOC offered me the possibility to overcome distances and connect nonetheless on a deeper, more personal level with like-minded people. It is really wonderful to feel being part of a global movement. Very meaningful! Furthermore, I learned a lot about myself and my higher intention. This helps me to take some important decisions in my life. The prototyping activities were powerful. As people became less attached to their ideas and had to create something quickly, they found themselves rapidly moving forward. Some even said that they had achieved more in 10 minutes than they had through the last couple of months of working on the idea. They immediately put their ideas out to be tested and within another couple of minutes they had already improved the idea. The fifth aspect concerns the opening of the deeper sources of human intelligence. At the beginning of the u.lab journey we asked the participants to assess their current ways of operating: as individuals (levels of listening), as a team (levels of conversing), as an organization (types of organizing), and as a system (types of coordination mechanisms). See Table 1. 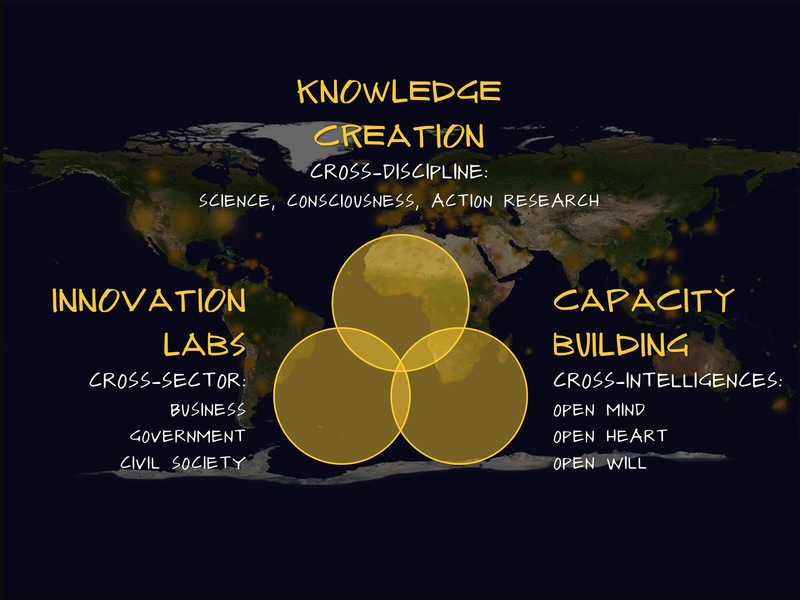 The answers from the global u.lab community were unequivocal: current reality is distributed among the first three levels (highlighted in blue). 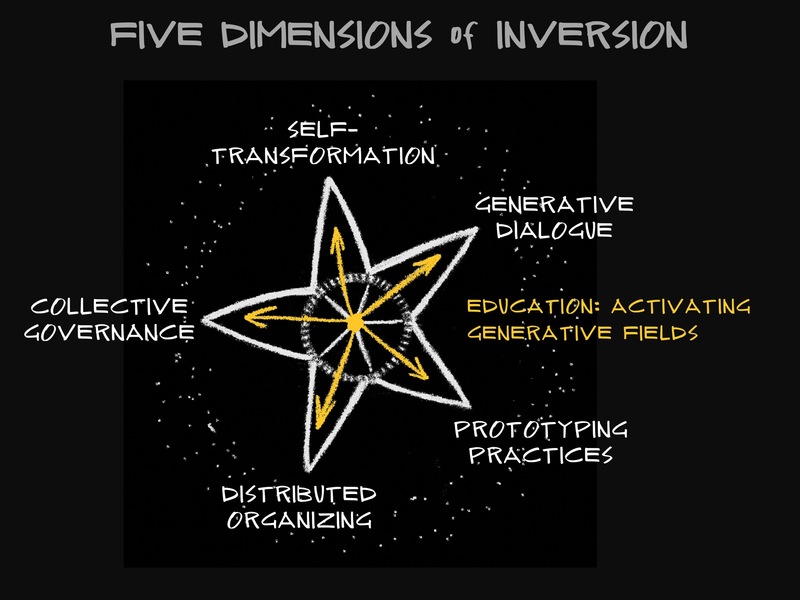 And when asked what level they required to operate given the challenges they face today as individuals, teams, organizations, and communities, more than 90% gave the same response: level 4--that means by activating a generative social field (highlighted in yellow). Figure 2: What is holding you back? 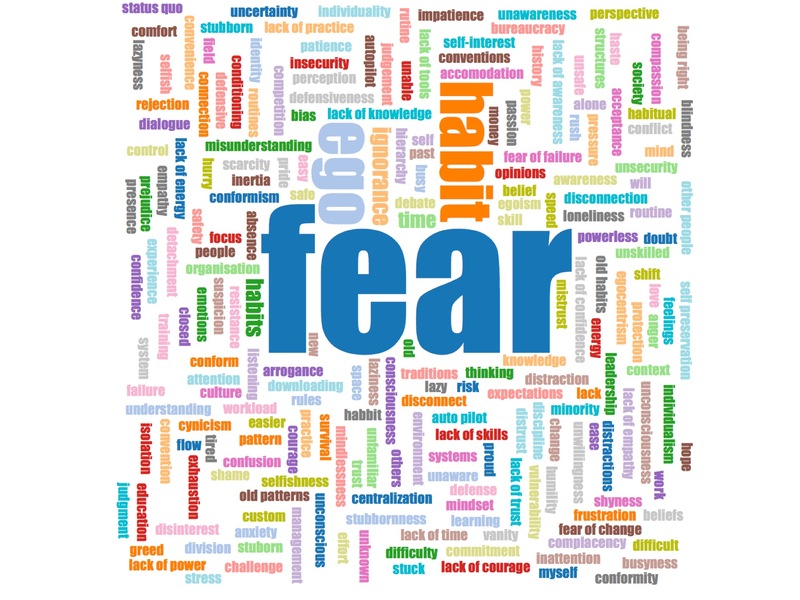 Habit, ego, and fear. At the end of the course we asked them what it would take to bring the vision and intention that they clarified and prototyped during the lab into reality more fully. Figure 3 shows what they said. Figure 3: What would it take to realize my vision and intention? Courage. Then we asked them what help they would need to really make it happen. Their most common response? Listening, love, and trust. The main conditions for transforming fear, ego, and habit into courage, compassion, and curiosity are a safe holding space and reflective practices that help participants to see themselves more clearly. Overall, the most meaningful thing for me is the insight I got when I turned the camera around and noticed myself from my most vulnerable direction. This insight helped me create my prototype for an issue that I had been working on for five years without any luck. But this insight helped me notice the crack where the future is emerging, and it helped me see my place in this emergence. Institutional inversion is reshaping institutions across all societal sectors and systems--not just institutions of education. You want to transform health? Don't just look at hospitals--look to communities, the real sources of health and wellbeing. You want to transform government? Don't just look at government bureaucracies--look to new forms of direct, distributed, democratic engagement. You want to transform business? Don't just look at companies--look to the co-creative power of distributed communities of creation. You want to transform higher education? Don't just look at what is going on inside the campus boundaries--pay attention to what is happening on the periphery, through the engagement of new global communities of learning. Institutional inversion is, in the language of Table 1, an opening process that follows a path from organizing around hierarchy and competition (logic levels 1.0 and 2.0) to organizing around co-creation and generative social fields (logic 4.0). That activation of a deeper social field of collective creativity has always been at the core of great education and innovation ecologies. The role of Stanford University in Silicon Valley, and of MIT inside the Route 128 corridor is precisely to provide the deeper soil conditions for such types of creative social field that keep reshaping our societies worldwide. Figure 5, drawn by my colleague Kelvy Bird, puts all of this into the context of our final u.lab live session of December 17. 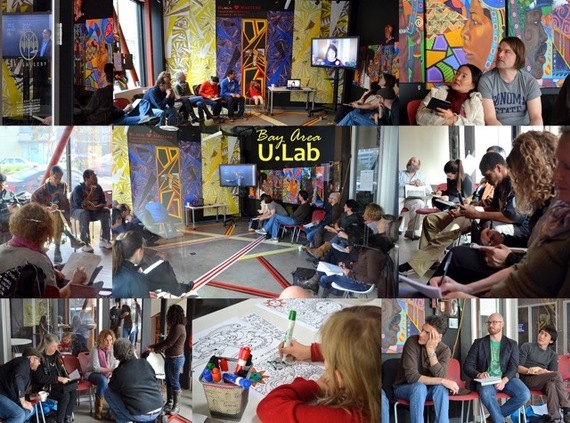 It captures the essence of the u.lab as cultivating the soil of the social field. Having grown up on a biodynamic farm in Germany, I still remember what it feels like in the spring. One day you look at a field and see nothing, and the next day suddenly the same field is covered with sprouts that are just piercing the surface. THAT is what 2015 felt like to me. Before 2015 I was teaching small classes at MIT and doing individual projects in many other places (China, Indonesia, Brazil, Africa...). Were they connected? No. But in 2015 something shifted. 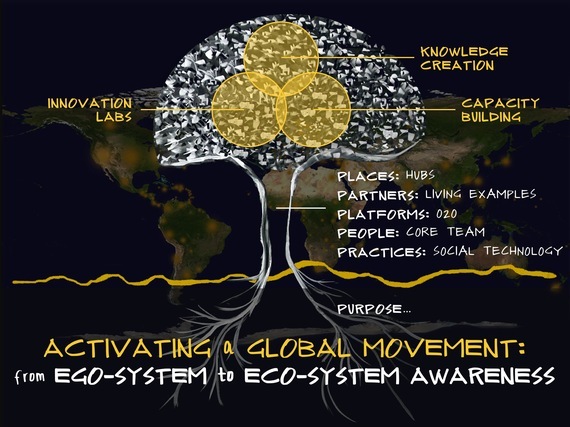 Somehow the field of individual initiatives got inverted, and now everyone can see the eco-system of connectedness that links all these projects, people, and movements. The two final pictures below sum up the concept of the u.lab--cross-sector, cross-intelligence, cross-discipline--and the enabling conditions that allow the u.lab to serve the eco-system and to catalyze its highest potential: a global movement for shifting ego-system awareness to eco-system awareness across all societal systems. The future of education has often been discussed by referencing the useful yet narrow concept of STEM (Science, Technology, Engineering, Math). Adding Arts to the picture changes the concept to the more comprehensive STEAM (Science, Technology, Engineering, Arts, Math). But what's still missing is a transformation literacy that cultivates the deeper soil of the social field. 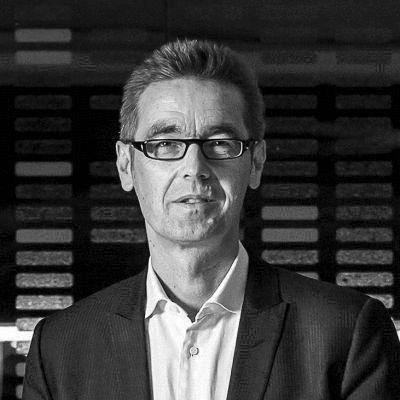 For that we need a second version of STEAM that complements the first one: Social Technologies, Entrepreneurship, Aesthetics, and Mindfulness. That second type of STEAM, which promotes co-creative social literacy, is missing from education today--as the news make painfully obvious every day--and that is precisely what makes the u.lab relevant now. Thanks to all u.lab participants, hub hosts, and co-facilitators across the planet for co-creating this field! Special thanks also for the amazing art work by Kelvy Bird and to all the helpful comments and suggestions from the u.lab co-facilitation team including Angela Baldini, Julie Arts, Lili Xu Brandt, Marian Goodman, Adam Yukelson, as well as Katie Stubley.